Lo, praise of the prowess of people-kings of spear-armed Danes, in days long sped, we have heard, and what honor the athelings won! The fascinating legend of the great hero Beowulf is told in one of the oldest works of English literature. Relive the legend of how the Geatish warrior Beowulf comes to the aid of the Danish King against the fearsome monster Grendel, how he returns to his home in Geatland to become king, and how Beowulf meets his end when fighting the terrible dragon. 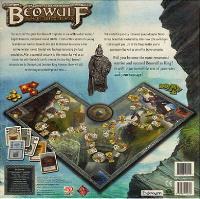 Beowulf, The Legend, by renowned designer Reiner Knizia and featuring art by John Howe, invites you to accompany the mighty hero as one of his brave comrades. 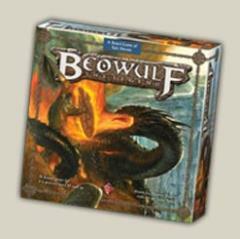 Will you become the most renowned warrior and succeed Beowulf as king? Only the strongest will prevail!